It came in a bright yellow wrapper and smelt divine; the lettering carved on one side and my challenge had been to lather it up so much, the lettering would smooth out and disappear, untraceable by my fingertips. The Zest soap bar would begin life in my childhood bathtub hard and finish up creamy and coated in white suds. Quite often I’d bury it under the water, hide it beneath the bubbles and let it go, sending it on a voyage from one end of the tub to the other, before I plunge into rescue it. Other times, I’d fold a flannel about the bar and pretend it was a gift to unwrap, (my wrapping skills have not improved). Eventually, the surface of the poor bar would start to disintegrate into mush, the four letters gone, the aroma of lemon diminished and it meant bath time was over. My mother, who’d been sat on the bathroom floor, would finish reading aloud the chosen poem. Once the bath water had been drained, she’d leave me with my super soft towel, which had been warmed on the radiator. For a few magical minutes, I performed a fashion show. I’d drape the towel about my shoulders, flitting between Roman toga, to sari, to Superman cloak, until I was dry. This is my Z post. 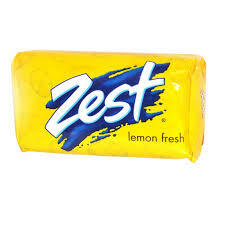 When I thought about Z, zest came to mind, then the soap, then my baths, my mum reading poetry to me when I was six, seven? I can’t be sure. A string of associations taking me back in time to forgotten memories. I hope you’ve enjoyed my A-Z posts and some where in each of them is my theme of inspiration. Thanks for stopping by, hope you’ll come back to visit again. I can honestly say, I wasn’t expecting a post about soap! But, I vividly remember using it and had forgotten until this moment. 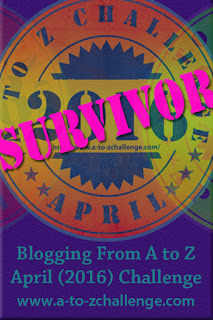 Congratulations on finishing the A to Z Challenge!!!! What a unique and fun post to end on…way to go! I wasn’t expecting it either. I was starting to wonder what to do and that’s what popped into my mind -Zest soap! YAY!!!! You finished the Challenge!!! Congratulations! Thank you, Donna and for following me too. Congrats on getting to the end. 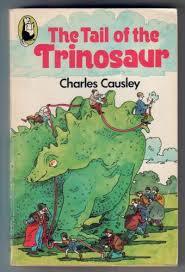 We take our childhood memories with us far into the future! We do, and hopefully the good memories. I’ve enjoyed the challenge because it has awakened many forgotten thoughts. I’m not familiar wit Zest sop so when I first arrived at your post I thought it was a chocolate bar! Anyway, congrats on making it through and thanks for your visits to me. I’ll certainly be back! Now I do love chocolate, but couldn’t think of a bar beginning with Z. Thank you for following me through this challenge. It wasn’t what I was expecting to write, but it worked! We’re all liquid here too as it’s easier for the kids, although I think all children should experience the fun of chasing the soap around the bath tub. Lovely post–what a great way to end the A-Z! Glad I met you here.